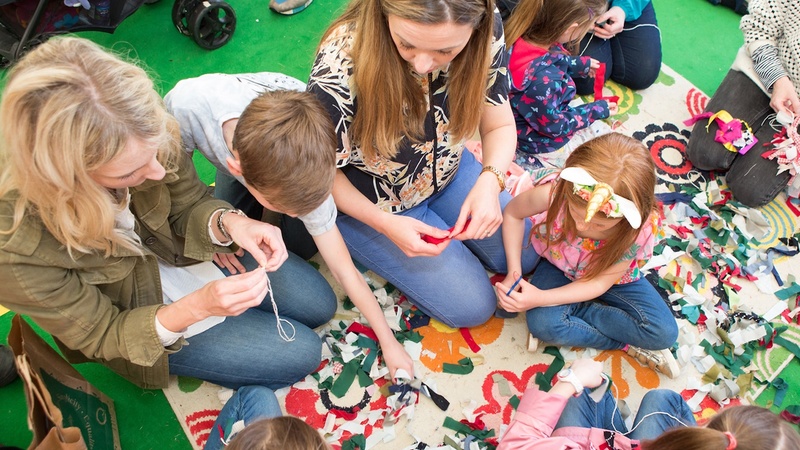 We believe all families should have the opportunity to enjoy Hay Festival. This year, in a new initiative to further that goal, Hay Festival has partnered with The Family Place to offer adoptive families a chance to visit the site with extra support to make their trips as carefree as possible. With the support of HSBC-UK, eight adoptive families will enjoy a free day trip to Hay Festival 2019. Each family will have the chance to watch and meet the internationally acclaimed authors and illustrators behind some of today's most loved books for young people. Plus they'll be able to enjoy the Festival's multiple family areas, from the Make & Take Tent to the Wild Garden, food hall and bookshop, with specialist staff in place to ensure the trip is inspiring for children and adults. Everyone will receive a book token to use in the Hay Festival bookshop. Sir Robert Winston will join the families for a celebration lunch where he will give every child a copy of his latest book Ask a Scientist – he will sign the children's books and answer questions. What could be better?